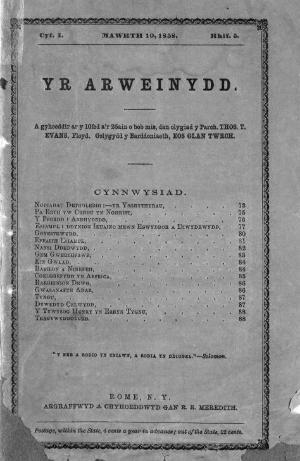 A fortnightly Welsh language nondenominational religious and literary periodical serving Welsh-America. The periodical's main contents were religious articles alongside poetry and music. Thomas T. Evans and William Hughes edited the periodical with the poet and writer, John Edwards (Eos Glan Twrch, 1806-1887) serving as its poetry editor.